EuroMed Feminist Initiative (EFI) solutes Ms. Suzan Aref, the coordinator of Iraq Cross Sector Task Force 1325 and Ms. Nada Makki, from the office of the Lebanese Minister of State for Women’s Affairs for their extensive and rich presentation of lessons learned and good practices during the Arria-Formula Meeting of the United Nations Security Council on “What’s next for Women, Peace and Security (WPS) in the Middle East and North Africa: The Potential of National Action Plans”. The meeting that took place on 24 January 2019 and was co-hosted by the Permanent Missions of Germany, the United Kingdom and Peru. The objective of the meeting was to elevate the visibility of National Action Plans on Women, Peace and Security in the Middle East and North Africa region (MENA). 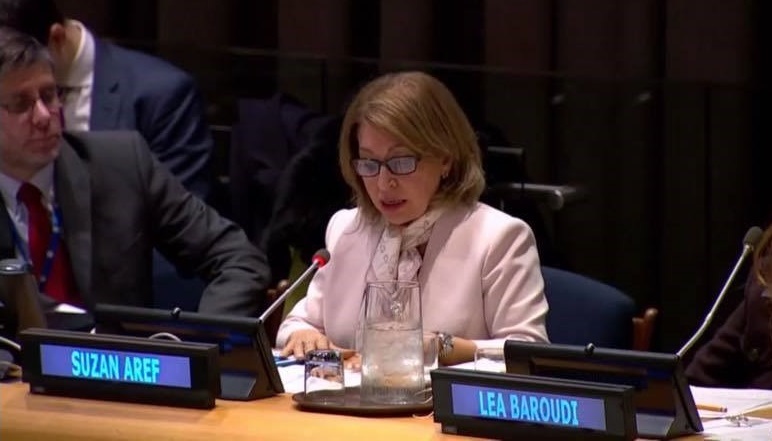 Two examples of National Action Plans in the MENA region were highlighted: Iraq as the country who adopted the first NAP for UNSCR 1325 in the MENA, and Lebanon, where a plan is still under development but will soon be adopted. 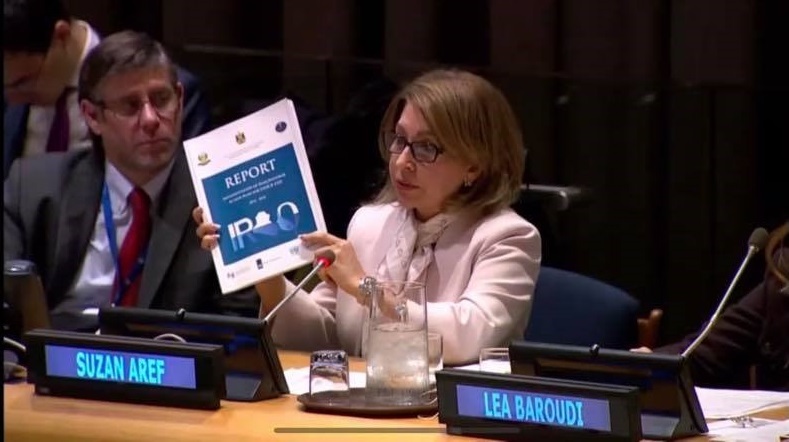 Iraq was the first country to adopt a National Action Plan for UNSCR 1325 in the MENA region and the first to present to the UNSCR a national report for its implementation. Iraq is now preparing the second National Action Plan. In another positive development, a Yazidi human rights activist, Ms. Nadia Murad, was awarded the 2018 Nobel Peace Prize for her efforts to end the use of sexual violence in conflict. EuroMed Feminist Initiative (EFI) has supported the development, implementation and reporting of Iraq NAP on UNSCR 1325 since 2012. EFI is glad and proud to continue supporting the Cross Sector Task Force (CSTF) and the development of Iraq second National Plan on UNSCR 1325. Ms. Suzan Aref discussed the process of development and implementation of the 1st National Action Plan in Iraq and provided recommendations for the 2nd NAP. 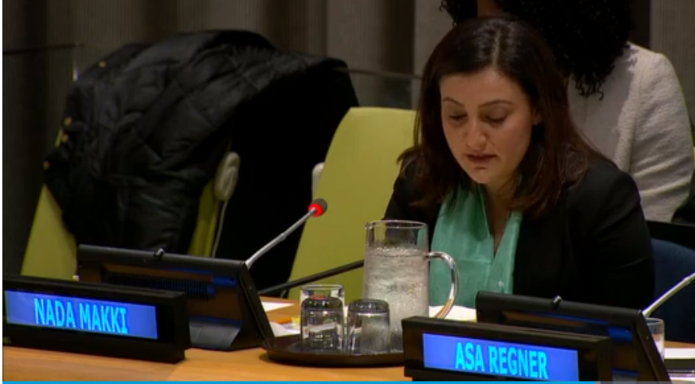 Click here to watch her speech at the UNSC Arria-Formula Meeting. Ms. Nada Makki, works at the Office of the Lebanese Minister of State for Women’s Affairs and a member of the steering committee of the National Gender Observatory in Lebanon. The Observatory is at the forefront of gendering policies and research in crisis response. 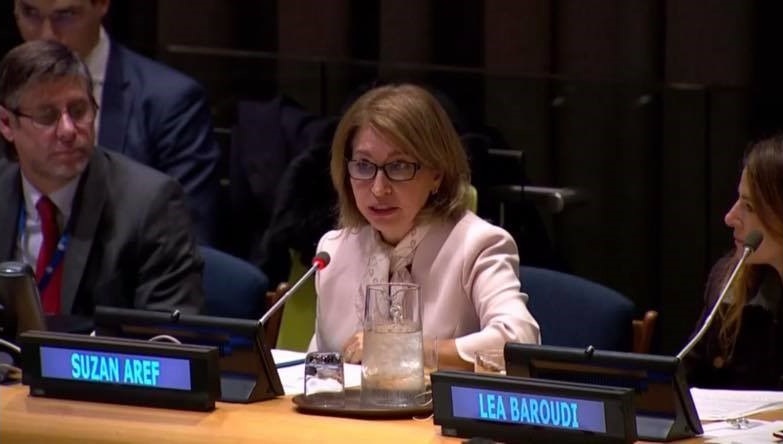 It aims at enhancing the institutional capacities and cross-sector coordination to ensure that Lebanon response to the Syrian crisis is gender-sensitive. Ms. Nada Makki spoke about the process of the development of the National Action Plan 1325 in Lebanon. 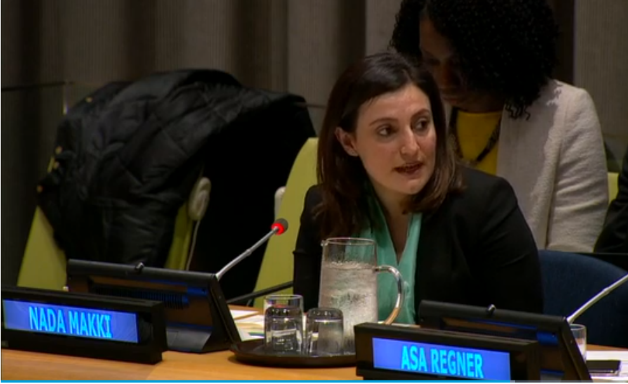 Click here to watch the video of the UNSC Arria-Formula Meeting.